Learn to Dive Today - If you want to learn to scuba dive, the first step is to take a ANDI (American Nitrox Divers Inc.) Open Water Diver and ANDI Limited SafeAir User Courses, The most respected Diving Certification in the world. Within a few days to 2 weeks, you can be enjoying the underwater world. Throughout the course, you'll learn fundamentals of scuba diving, including dive equipment and techniques. 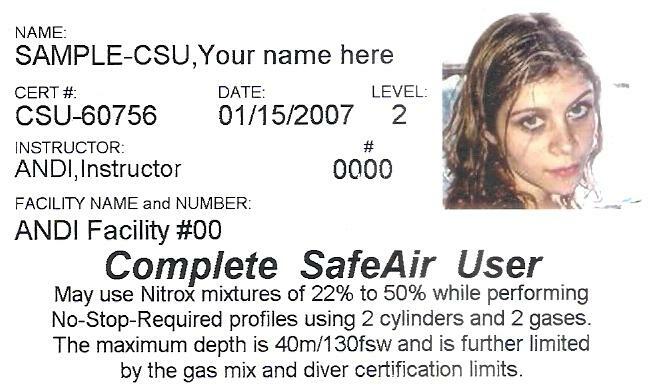 You will also earn a ANDI Open Water Diver and ANDI Limited SafeAir User certifications that are 2nd to NONE in the world. You will earn these ratings by completing the Classroom work, Pool dives and 2 days of Open Water Dives. Now is the time to dive into the ANDI Open Water Diver and ANDI Limited SafeAir Courses. This is your ticket to a lifetime of intense adventure with ANDI, The Dive Company that sets the standards in the Global Diving Community. $500.00 with Mask, Fins, Snorkel, and Booties rental included. No extra costs. $300.00 if Mask, Fins, Snorkel and Booties are bought at Deep Blue Scuba. to use SafeAir 32% and 36% only. This course is taken in conjunction with your open-water course at Deep Blue Scuba. When is the Class scheduled? We have 4 options for your busy schedule. Each of these are detailed at the bottom of this page. We are unlike the other Scuba Shops in town as we provide everything except your personal items - Mask, Fins, Snorkel, and Booties. 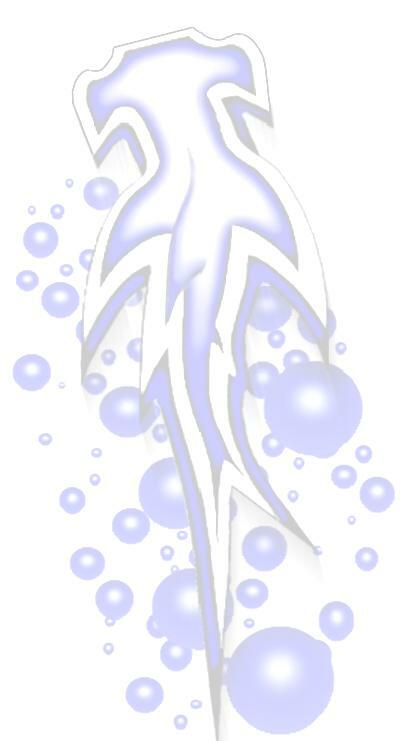 No Park entrance fees, No Wet Suit fees, No Pool fees, No need to buy a Scuba Gear Package to get our $300.00 class . We do provide Redundant Breathing Systems (AKA Pony Tanks), Computers, Reel with Surface Floats as it is required / taught during the ANDI Open Water Course. You need to provide Mask, Fins, Snorkel, Booties, and some of your time. We will take care of the rest. 10% Student Equipment Discounts are available. Why can't I do my Check out dives at Aquarena Springs? You are taking an ANDI Open Water Course and not a Pool Scuba Course. We must have an Open Water Environment that has the depth/conditions like a Large Lake or Ocean. ANDI and Deep Blue Scuba wants you to become a Self Dependent / Open Water/LSU Scuba Diver. Not a Shake and Bake Buddy Dependent / Confined Water Diver. For more on this and why you should learn from ANDI, please go to our WHY ANDI LINK. What has to be done before my first Class? You need to have the entire ANDI Open Water and LSU Books read with all of the Chapter Reviews from the Open Water Course Workbook filled out. All of the course forms and paperwork also need to be filled out before the first class. Stop on by the shop and pay for the course. 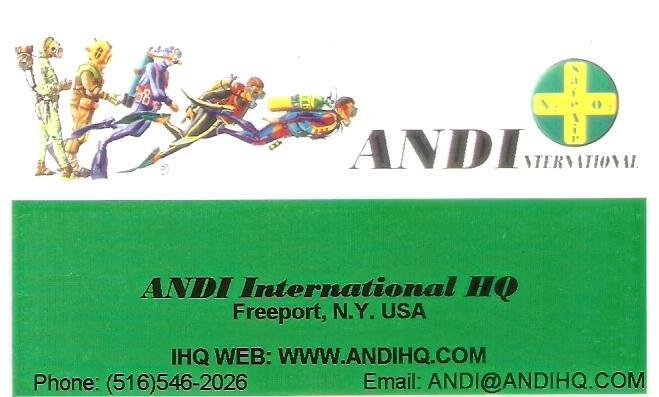 You will be given the ANDI Open Water and LSU Books to read as well as the Open Water and LSU Course Workbooks. At this time you are welcome to pick the class dates which fit your schedule and reserve your spot. Your on your way to a lifetime of intense adventure with ANDI, The Dive Company that sets the standards in the Global Diving Community. 1 Classroom Session, 1 Pool Session and 2 days of Lake Dives in Lake Travis. ** Times may change due to trips and other classes. Please check Calendar Dates for changes in normal class times. 3 Classroom Sessions, 2 Pool Sessions and 2 days of Lake Dives in Lake Travis. Price includes: Private Open Water Course, Your choice of a Complete set of scuba gear up to $3000.00, And a trip to Cozumel, Mexico for your check out dives.